Why does the Nikon D4 have just 16 million pixels? With Nikon already having a 24 million pixel full-frame SLR in its line-up and its sensor manufacturer, Sony, having a 24MP APS-C sized device, some photographers may have been expecting the D4 to have a higher pixel count than its 16.2 million. 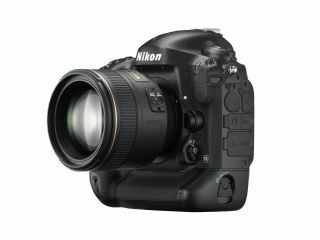 Speaking exclusively to TechRadar at CES 2012, Nikon Europe's Lars Pettersson explained that the manufacturer had two targets for the new sensor, the first of these being to boost pixel count to allow greater scope for cropping. However, the company also wanted to increase the signal to noise ratio so that the D4's images would be cleaner and have greater dynamic range. With the current technology a 16MP sensor provides the best compromise between these two objectives. it also avoids the production of huge files that take up lots of hard drive space and are harder to handle post-capture. Using a line that many Nikon followers will be familiar with from when Nikon has defended its use of 12MP sensors in the past, Petterssson said that 'Sixteen million pixels is enough for most users and for some it is evern more than enough'. However, photographers who feel that way can opt to use the D4's 1.2x crop to reduce the image pixel count to 12 million. Although increasing the sensor's dynamic range has been a key aim for Nikon with the D4, Pettersson is as yet unable to quote any figures that give a measure of the company's success in this regard, but he describes the jump is 'significant'. He also explained that the colour rendition has a very linear response across the ISO 100-12,800 sensitivity range, making high sensitivity images much better than from the D3S. Maintaining as much detail resolution as possible at ISO 12,800 was a key aim for Nikon when designing the D4 and, according to Pettersson, this has been achieved by an improved sensor contruction and better noise reduction. Noise production has been reduced by enabling more light to reach the photoreceptors. This has been acheived by reducing the width of the walls between the receptors and making the (gapless) microlenses sit even closer together than before. Nikon has also reduced the amount of light that is reflected from the whole optical system, including the microlenses and low-pass filter. This means that more light reaches the photo diodes and is used to generate the signal so that image quality is boosted. The D4's EXPEED 3 processing engine also plays a part as it allows much more data to be processed very quickly and this means that more complex noise reduction algorythms can be applied. The end result of all this, Nikon says, is much improved low light images. As yet we cannot verify these claims, but we will subject the D4 to our full testing regime as soon as a production sample becomes available and will keep you posted.